Cult classic director Quentin Tarantino returns this summer with another highly anticipated film, his most recent after a few years hiatus. Once Upon A Time In Hollywood is a crime film taking places in the late 60s Los Angeles. It chronicles the career of an actor and a stunt double named Cliff Booth and Rick Dalton as they see a Hollywood that seems unrecognizable compared to how it was before. Quentin Tarantino has slated that he has been working on the script for a good five years and is very excited to showcase “this story of an L.A. and a Hollywood that don’t exist anymore”. He also expressed much excitement having both Brad Pitt and Leonardo DiCaprio return as the leads for the upcoming film. The film is set to have an all star cast with actors like Al Pacino, Margot Robbie and the late Luke Perry, playing as older Hollywood icons. 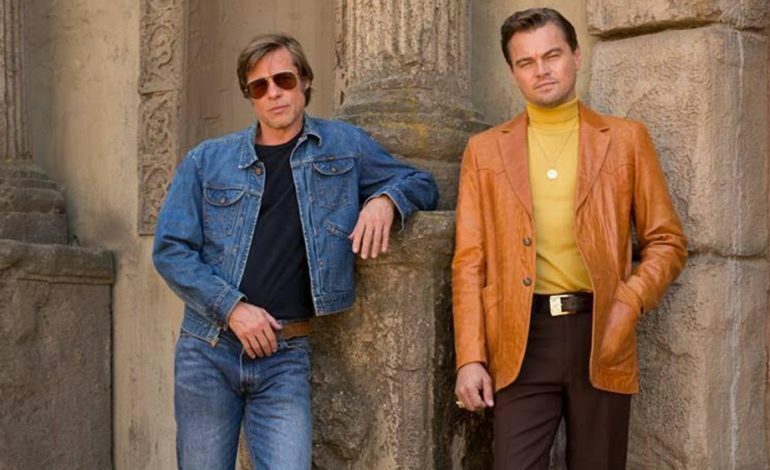 The film has dropped it’s first poster featuring DiCaprio and Pitt wearing classic 70s Hollywood attire. While the film is highly anticipated for many, some are critical of the film as it will also discuss the period of The Manson Family Murders. Below is the second poster that was released today showing Robbie as Sharon Tate, a victim of the Manson Family. The film was criticized as also seemingly in poor taste given the film is set to release on the 50th Anniversary of said murders. Regardless of what controversy is stored with a new Tarantino film, many are curious to see what the iconic director has in store this summer. Another day, another #OnceUponATimeInHollywood poster – but, this time the art is highlighting Margot Robbie as actress Sharon Tate. The film – also starring Brad Pitt and Leonardo DiCaprio – hits theaters July 26.